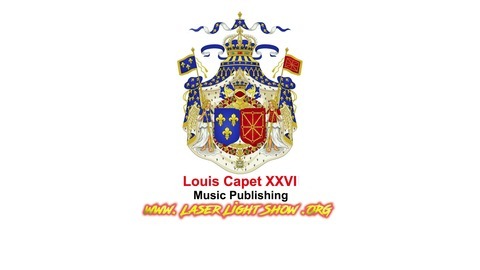 www.LaserLightShow.ORG - We feature music from Think Pink Floyd, Eve Michelson, Epic Micky UK, MC Foxy, Audiotrackerz, DJ ToTo, Alan Moll, Dstar Down Jones, Matt Falcone, Rezenber, Kreefer, Vibe-X Golan, Lily Zobel, Micky Zobel, Billy Martin, Johann Sebastian Bach, Scheherazade, Nikolai Rimsky Korsakov, DJ Dann D, Dreamlab Victor Andrews, ParaNormal SpacEE, TwinDrops, Janze, Blue Flow, Rippas Productions, and many more on our past artist Roster like MC Skibadee (BBC RADIO 1Xtra award for best MC, best MC southwest Drum n Bass award, best Lyrical MC and best Hype MC in the national Drum and bass awards, as well as the Stevie Hyper D Lifetime Achievement Award) and also MC TC Izlam (Zulu Nation Minster of Information Grandmaster) and our past clothing line distribution at events of Jungle Sky Designs of NYC owned by DJ Soul Slinger. With over 25 years in the music business, basically creating the EDM Electronic Dance Music industry inside the USA, which it is now valued at $7.4 Billion Dollars a year today (Billboard Magazine). We have built up one of the largest publishing & distributing partners in the music industry including outlets such as music stores, radio, TV, Jukeboxes, & audio fingerprinting. Our award winning portfolio of music can be found in stores like iTunes, Amazon, Google Play, Spotify, iHeart Radio, beatport, Tidal and over 300+ more stores. We offer in-house Mechanical Licenses, Synchronization Licenses, Import Licenses, & Master Use Rights Licenses for our Music or ANYONE ELSE'S MUSIC for TV Song Licensing, Film Song Licensing, Video Game Song Licensing, Remix Song Licensing, Karioki & Cover Song Licensing. 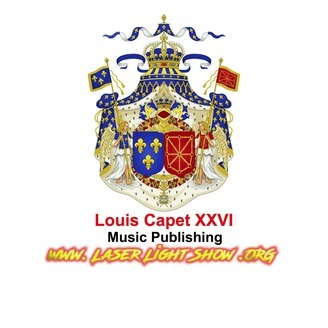 ▶ FOLLOW Louis Capet XXVI MUSIC PUBLISHING: - Website - http://www.LaserLightShow.ORG - Amazon - http://amzn.to/2H7uUAm - Beatport - http://beatport.com/label/louis-capet-xxvi/66498/tracks - Clone D\G\T\L - https://clone.nl/digital/label/Louis+Capet+XXVI - Digital Tunes - https://digital-tunes.net/labels/louis_capet_xxvi - DJ Tunes - http://djtunes.com/label/louis-capet-xxvi - FaceBook - http://FaceBook.com/KingCapetxxvi - Google+ - http://plus.google.com/+LaserLightShowORG - Instagram - http://instagram.com/king_recordings - Juno - https://junodownload.com/labels/Louis+Capet+XXVI - Mixcloud - https://mixcloud.com/kingRecordings - Mixcloud - https://mixcloud.com/dance-music - PYRO (China) - https://pyromusic.cn/profiles/louis-capet-xxvi - SoundCloud – http://Soundcloud.com/Kings-Recordings - Soun.